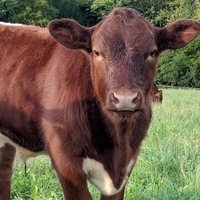 “Cows, Land, and Labor” will bring together multiple actors for a meaningful, multidisciplinary discussion covering carbon sequestration, the ethics of consumption, market management, and labor activism associated with bovine agriculture in the Northeast United States. The predominance of cows in the New England agricultural economy and their impact on the land and human capital makes it an ideal subject for our conference. Vermont, New Hampshire, Upstate New York, and Western Massachusetts have long histories of dairy production, with organic and conventional milk production strongly shaping the economy of our immediate surroundings. Farmers interested in carbon sequestration have also been active in New England in an effort to return vital nutrients to a once-rich landscape that still has potential. In general, cows and bovine-related industry have been a proving ground for new technologies, labor agreements, and products that have shaped attitudes about social and environmental justice. We seek to capitalize on the unique identity of this region and its vibrant farming community to think collectively about the consequences of raising cows and consuming meat and dairy products.